This linocut was inspired by my grandmother’s cat who sleeps all day and night in the shed or on the bed! 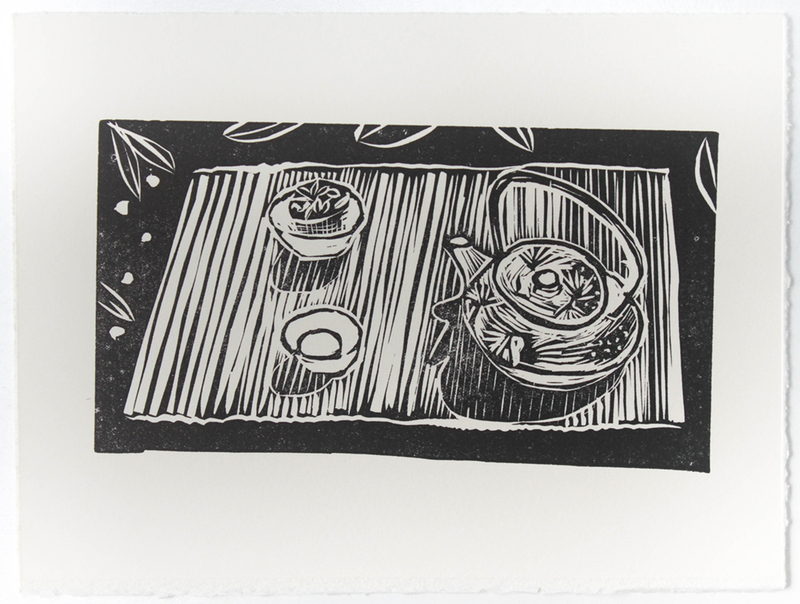 Linocut printed by hand on Japon Simile paper. This linocut was inspired for my love of playing the ukulele! Listen to songs on ukuele here! Linocut printed by hand on 300gms Somerset Satin paper.